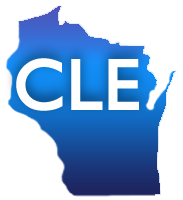 On Thursday, February 1 the Milwaukee County Law Library will offer a free CLE class on Filing an Electronic Real Estate Transfer on the Department of Revenue's Website. Time: Thursday, February 1, Noon - 1 p.m. In addition to a transfer document, the Wisconsin Department of Revenue now requires electronic submission of the real estate transfer return pursuant to Section 77.22(2) of the Wisconsin Statutes. Whether you are a private citizen or an attorney, this course will show you how to successfully maneuver through the Department of Revenue's website for a real estate transfer involving owner-occupied property. Registration is suggested through the Milwaukee Public Library and space is limited. Call 414-286-3011 to register. These are demonstration classes.